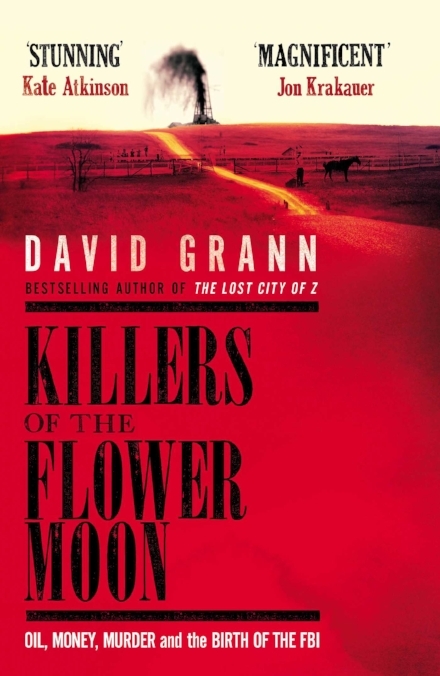 Grann is a master of narrative non-fiction; his work is deeply researched and his prose so personal and engaging it reads like fiction. His latest book reveals the untold history of the Osage Indian nation in Oklahoma who in the early 20th Century were the wealthiest people per capita in the world thanks to the oil deposits beneath their reservation. From at least 1918 on, the members of one particular Osage family began dying in strange circumstances and with increasing frequency. It is this family that Grann centres his story on. Around the same time these deaths were finally starting to look suspicious, the FBI was being formed and stepped in to investigate. Grann's history moves beyond their official records, however, to delve into the hundreds of unsolved murders of Osage during this time period that the FBI never touched and to speak with the descendants who to this day are trying to uncover the truth behind these murders. A riveting, pertinent story of the kind of horrific injustice and racist violence that is still rife across the globe today.